From artist Brian Rood! 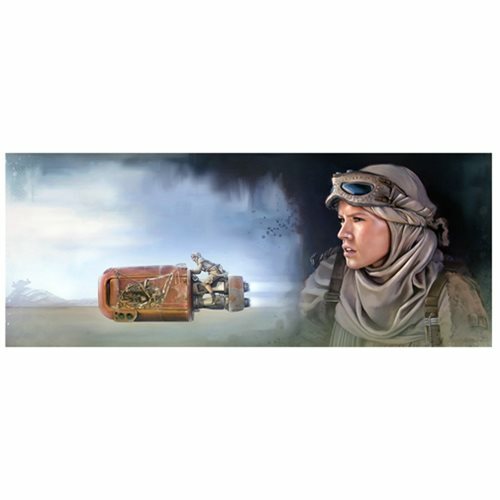 This Star Wars: The Force Awakens The Scavenger by Brian Rood Canvas Giclee Art Print shows Rey's face as she appears in the desert, head wrap, goggles, and all. A limited edition of 95 hand-numbered pieces, this giclee has been signed by the artist and measures 35-inches wide x 14-inches tall.